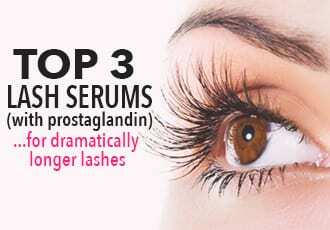 Prolash+ is made by a Swedish company and thus better known in the UK and Europe than the States. Prolash+ eyelash serum uses a combination of peptides, vitamins and plant extract to promote the growth of thicker, longer lashes. It’s been clinically proven to be both safe and hypoallergenic. There have also been independent clinical trials conducted over a four-week period – these tests showed a 99% success rate in growing thicker and longer eyelashes. To use Prolash+, apply it to the line where your eyelashes meet your eyelid twice a day. A single Prolash+ bottle will last a little over a month when used twice daily. According to the website, it takes two to ten weeks to see results, after which time, you can continue to use the produce two to three times a week to maintain results. Enzyme “EPM”, distilled water, wool bursa growth genes, toumingzhsuan sodium, ethyl amide MEA, hydrolyzed keratin, propylene glycol, sorbitol, collagen sodium, wheat germ, linolenic acid, chitosan glycosaminoglycan, nettle extract, bitter orange flower oil, fourteen acylating, moisturizing , extracted natural cellulosic A, vitamin E, vitamin C, panthenol, allantoin, Yankees extract. 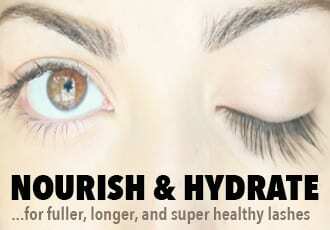 All in all, Prolash+ is a superb eyelash conditioner. It didn’t irritate, burn nor make my eyes itch and since it doesn’t contain prostaglandin ingredients, it also doesn’t have any of those side effects, which makes it a great choice if you’re looking to vamp up your lashes but aren’t so keen on a permanent color change in your skin or eyes. Also, their website says Prolash+ takes 2 to 10 weeks to see results, but I did not notice much growth until around the 6-week mark. 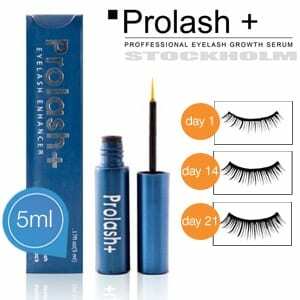 You should also keep in mind that Prolash+ is an eyelash conditioner and does not contain prostaglandin ingredients so dramatic eyelash lengthening and thickening is not to be expected. 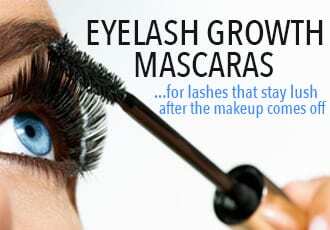 My lashes did grow fuller and longer but the change was not as extreme as it was with Grandelash, which is a prostaglandin-containing eyelash growth serum. Still, the eyelash growth was noticeable enough and considering the price and the gentleness of the formula, I’d say Prolash+ is a great lash conditioner. Another awesome thing about Prolash+ is that it’s backed by a 60-day money-back guarantee so you have nothing to lose in trying it – get it now for $37. * Prolash+ also makes a superb mascara – it’s a 2-in-1 mascara that contains Prolash’s bioenzyme eyelash conditioner formula and acts as a very good, no-clump lengthening mascara. You can get two tubes right now for $35!